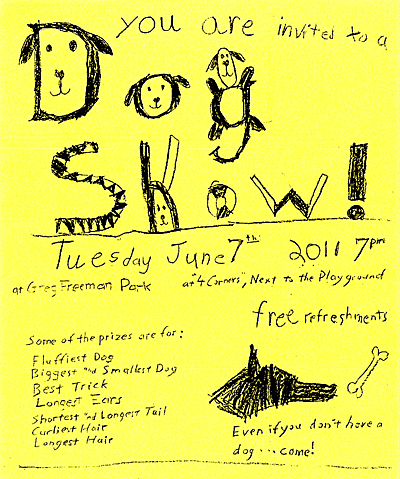 Walking home late last night after seeing a concert, we found the sidewalk scattered with these flyers for an upcoming neighborhood dog show. This budding typographer created a flyer filled with tons of enthusiasm! She even figured out how to draw a dog doing a handstand in the form of the letter “H.” I’m sure she is counting on her dog to take several of the prize categories.